SES ASTRA, an SES company (Euronext Paris and Luxembourg Stock Exchange: SESG), has signed a capacity agreement with Rai. The Italian public broadcaster will use capacity on SES ASTRA’s 19.2 degrees East orbital position to broadcast its new international channel Yes Italia to a European audience. The agreement follows successful test broadcasts in 2009 and also includes the delivery of uplink services from SES ASTRA’s broadcasting centre in Unterföhring near Munich. Yes Italia is Rai’s new theme-based channel designed to promote Italy’s historical, artistic and cultural heritage to an audience across Europe. The channel is managed by Rai’s subsidiary NewCo Rai and is broadcast in Italian with English and Spanish subtitles on a 24/7 basis. 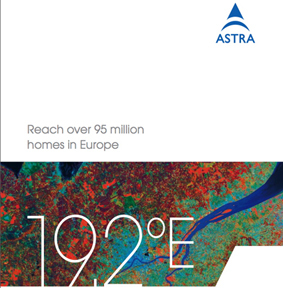 By broadcasting Yes Italia via SES ASTRA’s prime orbital position 19.2 degrees East, Rai will be able to reach a maximum of Direct-to-Home and Direct-to-Cable households in Europe.